This is going to be a short one today as we are still getting back into the swing of things after two days of driving and unpacking! I was reviewing my archives and realized how often I've worn this blazer since buying it. I love a neutral blazer, don't get my wrong. A navy or black blazer is a staple! 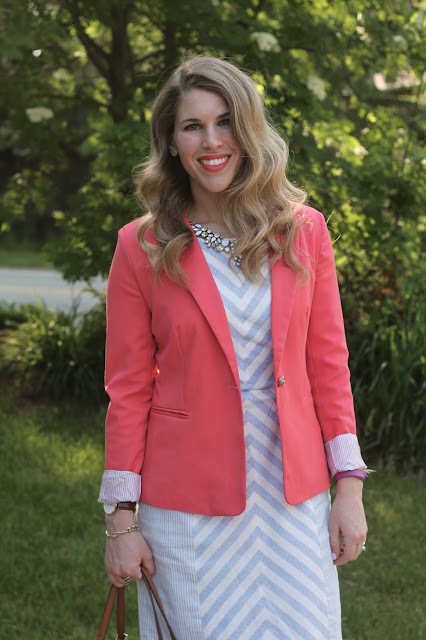 But a brightly colored blazer can liven up an outfit while staying surprisingly versatile. 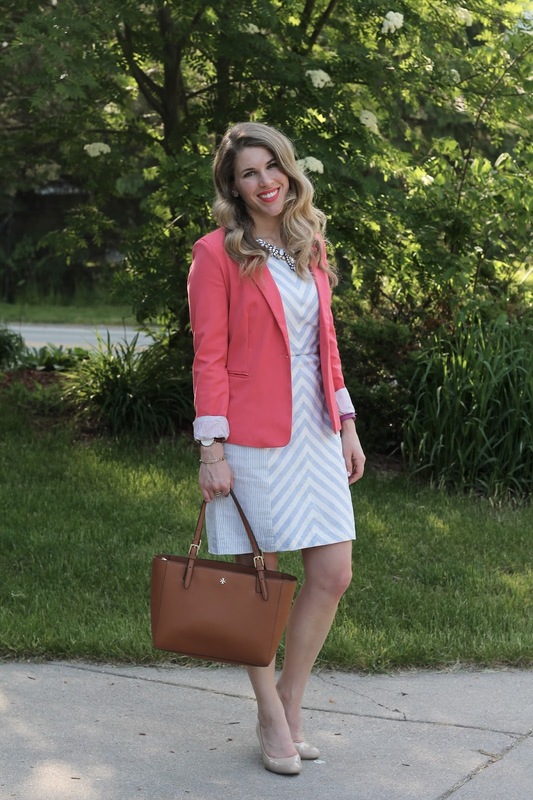 Check out all the ways I've worn this blazer at the bottom of this post for some inspiration! See how else I've worn this blazer with joggers, a sequined tank, light blue, striped top, cobalt top, orange, leopard, grey sweater dress, black and white stripes, and purple. This is such a great work dress, love it! I love your bright blazer! 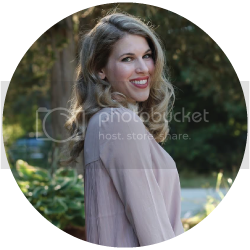 This is such a cute, polished look! 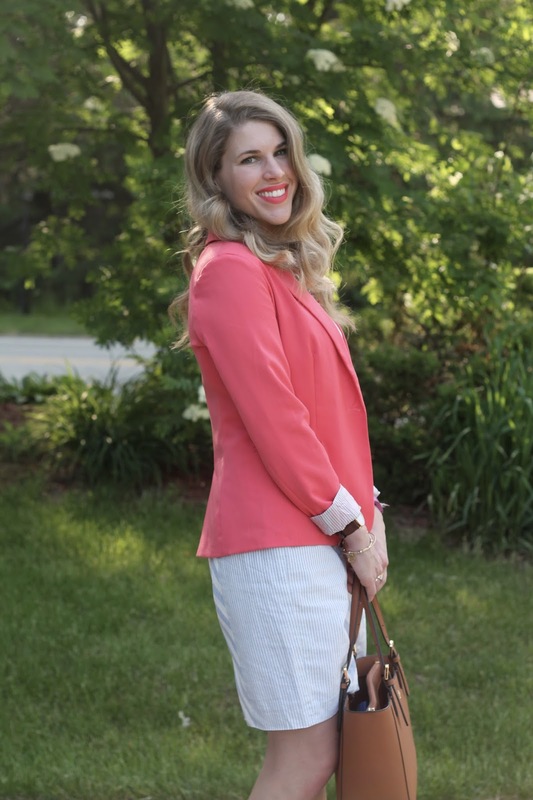 Love the color of this blazer, the brightness almost makes it a neutral! I've been wanting a red blazer for a long time to add to my collection! I would definitely wear this outfit teaching. Great colours! Loving the coral with the grey. I think you're so right Laura!! Since much of our work clothing tends to be more muted, it's nice to have a pop of color to make it stand out!! 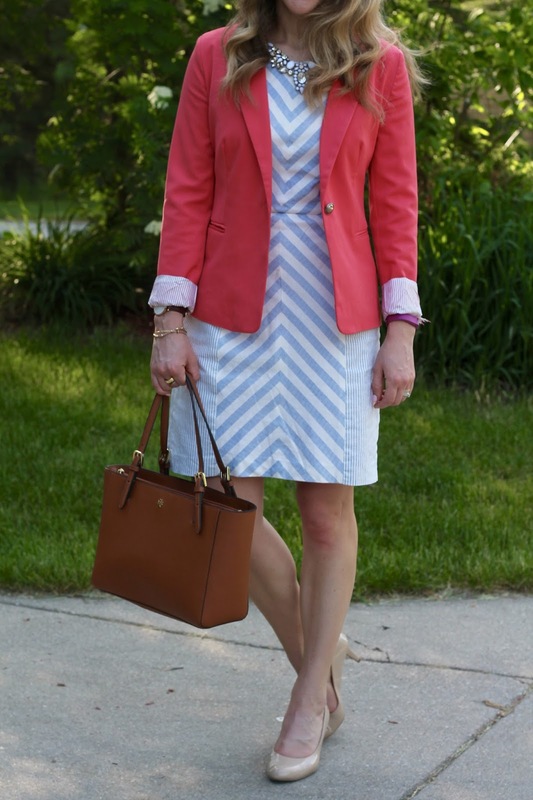 This is such a gorgeous office-friendly look for summer. The color of that blazer is so pretty, and I love the print and fabric of that dress! 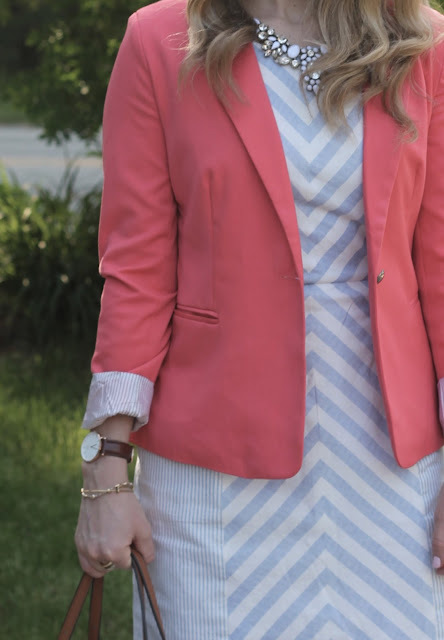 I love neutral blazers too, but I agree that sometimes adding a bright blazer can really make a look. That color blazer is so pretty! I love the dress too! Super cute! I love the pop of color! Such a lovely look! love the blazer! 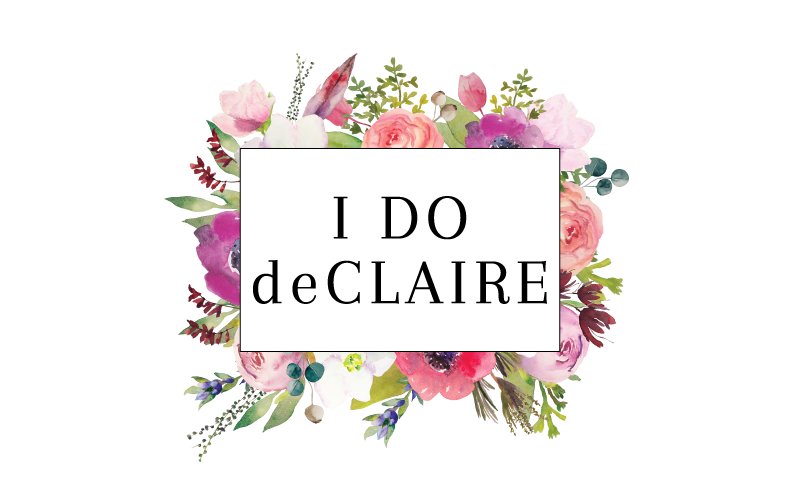 A color I would shy away from blazer-wise, but you've convinced me just how versatile of a color it is!! Coral looks spectacular on you!